Most people think that Monopoly was invented by an unemployed Pennsylvanian who sold his game to Parker Brothers during the Great Depression in 1935 and lived happily - and richly - ever after. That story, however, is not exactly true. 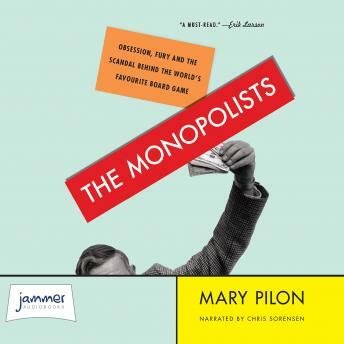 The Monopolists reveals the unknown story of how Monopoly came into existence, the reinvention of its history by Parker Brothers, the lost female originator of the game, and one man's lifelong obsession to tell the true story about the game's questionable origins.